More than 70 years ago on Diwali, a painter saw his daughter in a beautiful saree with a candle, her hand guarding its flame to prevent the wind from blowing it out. 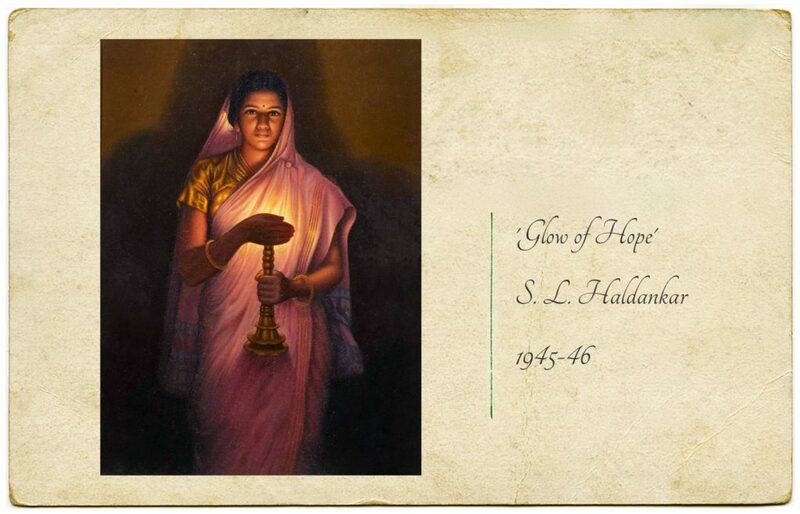 The rays of the candle illuminated her face beautifully and sparked a moment of inspiration for S L Haldankar who recreated it in his most iconic watercolour painting, ‘Glow of Hope’. Born in Maharashtra in 1882, Sawlaram Lakshman Haldankar’s talent earned him a place in the Sri JJ school of Arts, Mumbai. He later went on to establish the Art School of India in 1918 and became its first president. Created in 1945-46, the ‘Glow of Hope’ is housed in Sri Jayachamarajendra Art Gallery in Jaganmohan Palace in Mysore. Its display is a careful arrangement to optimise the visual impact of the light and colours. To see the ‘glow of Hope’, you have to enter a curtained enclave which is usually darkened. 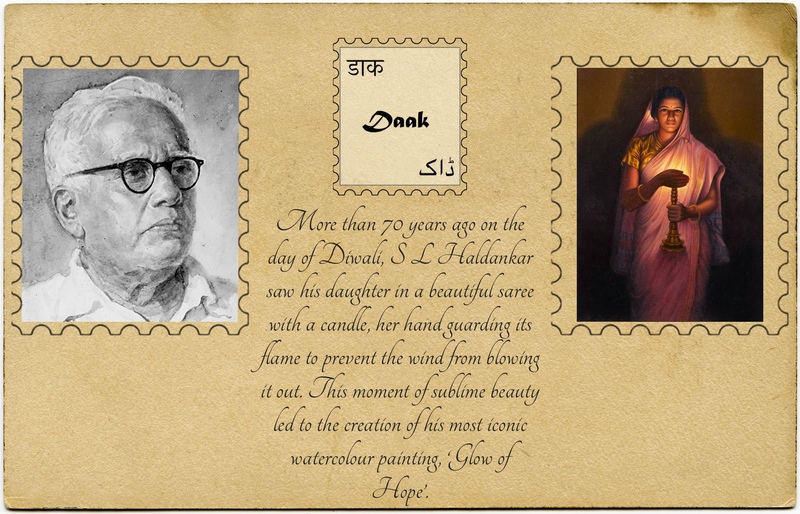 You can experience the luminescence of the brass lamp, which probably inspired Haldankar, and when the light comes on, you can admire the subtle shades of pink and lavender in his daughter’s saree. Haldankar deliberately chose watercolours over oil paints as he wanted to prove that he could paint without making a single mistake.